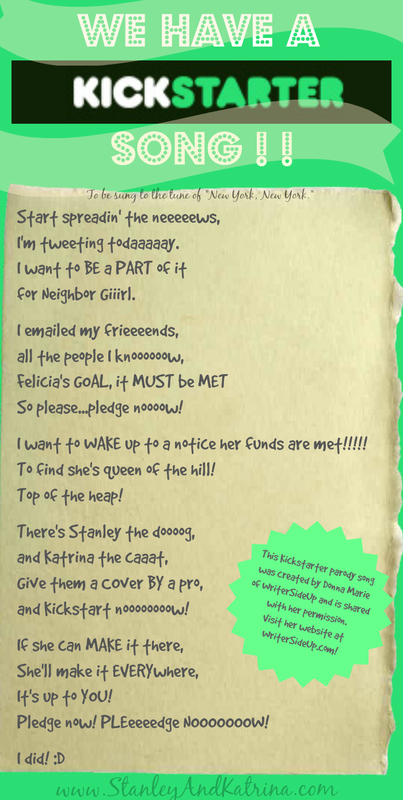 Stanley and Katrina: A Kickstarter Song, a Hero's Guide, a Staff, and a Blog Hop? A Kickstarter Song, a Hero's Guide, a Staff, and a Blog Hop? 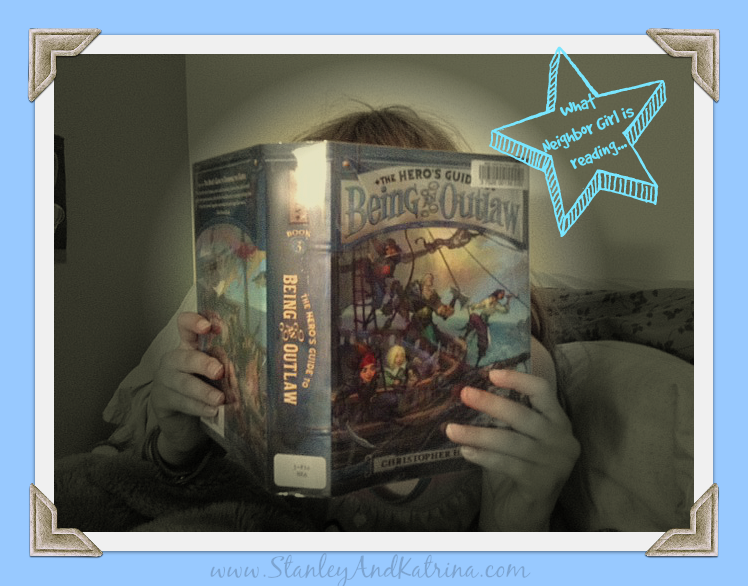 Yay, it is Kid Lit Blog Hop time! Welcome to our post for Kid Lit Blog Hop #39. We are lucky pets, check out this fun parody of the song "New York, New York" written just for us for our Kickstarter Project, by the lovely Donna Marie of WriterSideUp. Thank you, Ms. Donna Marie! WHAT IS NEIGHBOR GIRL READING? Neighbor Girl picked up a copy of Christopher Healy's book, The Hero's Guide to Being an Outlaw at the library, last night. Nine chapters into the book and she has this to say, "It is just as funny as the last two. This is a great series!" Click here to tweet "@ChristophrHealy 's new book is "..just as funny as the last 2. This is a great series!"" This is a great combination. If you visit our "Things We Love" page, you will notice that both Rick Riordan and Christopher Healy are our top two favorite authors that have great places to visit on the web. Disclosure: We checked "The Hero's Guide to Being an Outlaw" out from the library, and purchased "The Staff of Serapis" via Amazon for our ipad/Kindle app. We received no monetary or in-kind compensation for our honest reviews/sharing of these books. This post does NOT contain affiliate links.